I'm a computer progammer, web developer, project manager by day... for those that were unaware of my nerdy geeky techie-ness. So, I will admit that I embrace technology and welcome it into my world and life. I don't try to live in a bubble and pretend my girls aren't living in the virtual world either. This badge focuses on that and really helped the girls see what all entertainment technology could do for them. There are so many great careers that could be obtained. If any of them go into game design or engineering roller coasters, I'm totally taking the credit because of this badge! We split the girls up into two groups for most of the badge. My assistant leaders ran one station and I ran one. I brought in a lump of Sculpey clay, the camera, and several pieces of white cardstock. The girls were instructed they needed to build a "light box", come up with something to animate, sculpt it out of clay and take at least 10 photos of their item "moving". They did great. After they were done, I put the photos together into an animated gif and showed them the result. We talked about what to do differently to make it better next time and the importance of having the camera in the same spot for each location. They suggested the use of a tabletop tri-pod would have helped. I agree and thought of that after the fact. Entertainment Technology 2: Talk to a developer! This is sort of hard to do sometimes... to find someone to come in and talk. So, I followed the lead of wiser and experienced Leaders and thought... why not use Entertainment Technology to fulfill this! 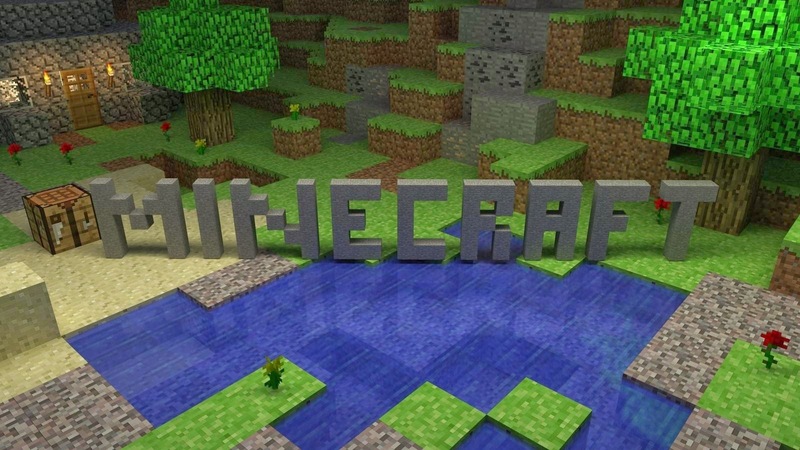 I found an interview of the guy that built MineCraft and had the girls review it. They were into MineCraft (I'm so hip! ), so I knew it would be interesting to them. Plus, it showed the unexpected growth of what the developer didn't think would be such a huge gamer base. Proving the point you just never know when an idea is going to hit big! This is the interview I used, (http://www.gamasutra.com/view/news/27719/Interview_Markus_Notch_Persson_Talks_Making_Minecraft.php) because it talked about how he got into programming and such, too. There are several different interviews, including video, that he has done. So, if you want to go the Minecraft route, just Google Minecraft interview with Notch (that's his nickname). Who doesn't love launching something across the room with encouragement and permission from the adults!!! I found this great plan at the link below and gave the supplies and instructions to the girls. We didn't help them much. They had to build it and work together to make it better, etc. They had races and contests and took them outside. It was a great time and one of their favorite activities done at a troop meeting. I tweaked this one a bit. The girls LOVE taking "selfies" with their iPods and phones and such. 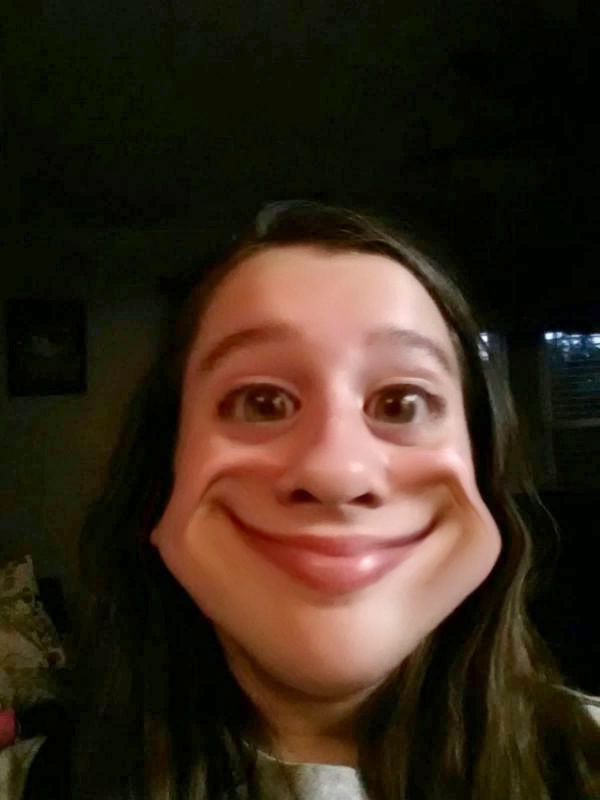 So, I downloaded the Pho.to Lab app, paid the $1.99 for the "Pro" version to get rid of ads and let them take selfies with my phone, play with the app, create special effects, etc. I was actually surprised how wide of a range we had with our group when it came to technology experience. I had a couple girls that had never used an app like this and others that were showing me things after seeing it for the first time! It was fun and an easy way to bring technology into something they liked doing to begin with. We took a stroll for this. I had the girls choose the song, the places around our meeting place, and keep track of their findings. We were in the bathroom, the hall, a vestibule with high ceilings, against a concrete wall, between cars, etc.They cupped their ears and listened again. Just taking the time to think about sound and how different places react to the sound waves helped them understand why certain activities are better inside or outside. Your site is so helpful! Can you provide the link for the Minecraft interview you found? Thanks so much! Thank you. I have updated the post with the link. There are a lot of interview to be found on the web with this developer. Love this! Can you tell me how much time each step took? I really don't remember... we did complete the whole badge in one meeting and when they were juniors, meetings were 2 1/2 hours long. The link to discovery doesn't provide a how to? Its just an online coaster and when I go to catapult it is just an example? Am I missing something? Sorry about that... apparently they changed some stuff on their site... I googled and found some instructions. If you don't like those instructions, just google marshmallow catapult and you'll find lots of examples. Thank you for this advice, it was a total lifesaver! My Scouts chose this patch, but we don't have enough computers for each girl to use her own, so many of the steps were difficult to plan. This guide helped a lot! Thank you so much for this! I contacted the big name computer store to complete this badge and they told me it was BORING! I can't wait to use your plans with my girls. Going to radio station for earning this patch ...is this allowed? As long as you can meet the requirements, I'm sure it's fine. Everyone does the badges with different ideas. Just make sure the activities meet the requirements and you are good.